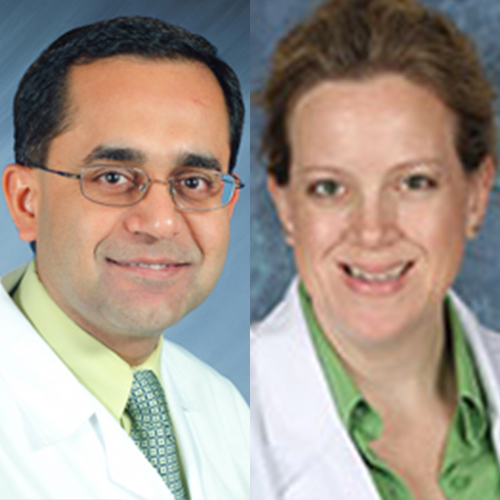 This week, we’re joined by Dr. Vikas Malhotra of Florida Cancer Specialists and Dr. Alene Wright of Nature Coast Surgical Specialists and General Surgery of Trinity. Dr. Malhotra has been caring for patients with cancer for over 10 years. After graduating from medical school at the University of Delhi, New Delhi, India, in 1991, he completed his Internal Medicine Residency at Wright State University in Dayton, OH. While there, Dr. Malhotra received the Best Resident award and Best Teaching resident award; he also served as Chief Resident in the program. He was a practicing Internist in Missouri for 3 years before returning to do his Fellowship in Hematology and Medical Oncology at University of Missouri. After his fellowship, he was appointed as the Assistant Professor of Medicine at the University of Missouri, where he was given the Best Medical Student Teacher award as a faculty member. He has been active in clinical trials through CALGB and is the author of several publications in Breast cancer and Esophageal cancer. He is also the author of two articles on UpTo Date® online, which is an evidencebased knowledge system authored by physicians to help clinicians improve the quality of patient care. Dr. Malhotra moved to private practice in Florida in 2003 and joined Florida Cancer Specialists in 2012. He is Board certified in Internal Medicine, Medical Oncology and Hematology, and has served as an Executive Committee member on FLASCO, the Florida state affiliate of the American Society of Clinical Oncologists. He is an active supporter of several cancer charities including “Relay for Life” and “Making Strides”. Dr. Malhotra is a Director of the Executive Board of Florida Cancer Specialists. He is married and the proud father of two sons.